Be The First to Review the Oktoberfest Run 10K/5K! The Oktoberfest Run 10K/5K is a Running race in Cullman, Alabama consisting of a 10K, 5K. The Annual Oktoberfest Run will be fun for the whole family. Choose your distance! 5k or 10k. 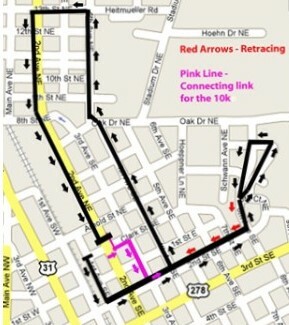 The course winds through historic district and includes several mild hills. After the race, enjoy the Oktoberfest events for the day including an arts and crafts fair, bed races, German bands, great food, shopping, and more. www.cullmanoktoberfest.com	View Course Map	Incorrect Race Info/Update Race Details?